Over a long and thorough period of searching, you did not find a better looking double monk than the one in the top picture. However, when you finally found this offering from Henderson, an Italian brand, it was too late. The brand discontinued its double monk strap model. You scrambled to the email machine and an English-Italian dictionary was employed. 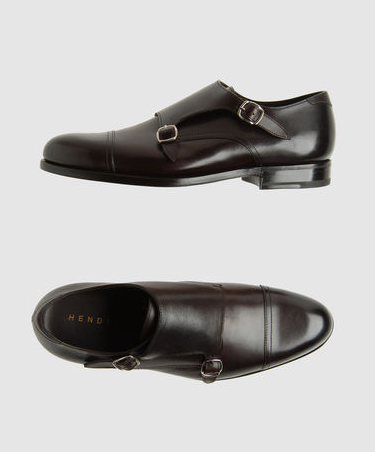 Alas, after a volley of emails in Italian, you learned the company only possesses one remaining pair (the bottom picture) and they are in a size 42, which is not yours. For a period, you grieved and keened, but now it's time to forget. So, if there are others out there with interest in the lone pair, you are willing to provide details.